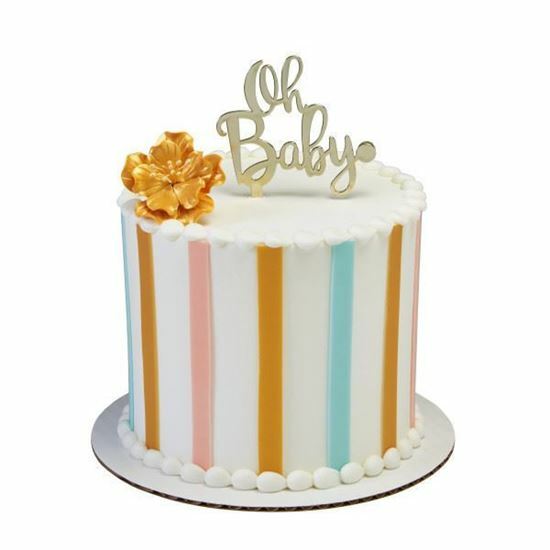 This small Oh Baby cake topper can also be used as a single candle holder. It is perfect for a baby shower celebration! Shown on a 5" round cake.